If you spend a lot of time in your garage, you will want to protect your garage’s floor as much as possible. Your garage floor is probably made of concrete, which is already very sturdy and durable, but it is still vulnerable to chemical spills, cracks, and anything else that might befall the floor of a work space. One of the best ways to protect your garage’s floor is to apply an epoxy coating. 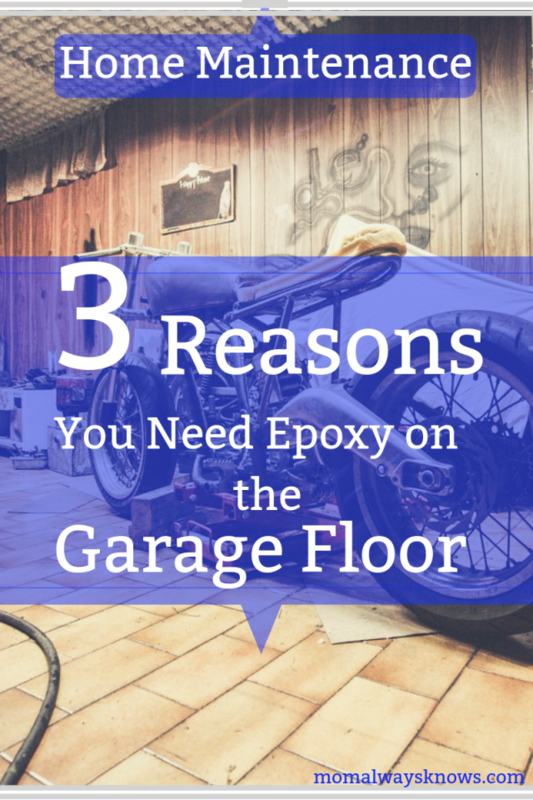 Here are just a few reasons why adding an epoxy finish to your garage floor is a great idea. Since garage floors are so vulnerable to oil, gasoline, bleach, and anything else that can damage or stain concrete, you will want to apply a finish that will help it stand up to such chemicals. Not only will an epoxy coating make your floor that much more resistant to these spills, but it will make it that much easier to clean it up. It will also add years of longevity to your floor and protect it from chips and cracks. If you have a car constantly messing up your garage floors, you might think about calling JunkCarMasters and letting them take care of the problem for you! If your garage floor already has some cracks and chips in it, applying an epoxy layer can help hide some of them. It’s far from an ideal solution if you have large holes or gouges in your floor, but a spider crack or faint chip will easily be smoothed over before they can spread and damage the rest of your floor. Finally, an epoxy coating can give your garage the look of a professional work space that looks far better than the simple concrete slab that so many garage floors resemble. Epoxy finishes come in different styles and colors, so you can play with your garage’s decor and overall look if you wish. These are just a few of the reasons to consider covering your concrete garage floor with an epoxy finish. Applying the finish is a relatively easy task too. It might not be a great idea to do it yourself if you don’t know exactly what you’re doing, but you can find a contractor to handle the job simply by Googling “garage floor coating Chicago” or wherever your home may be located.